Are you looking for a non-judgmental and objective perspective? Have you felt stuck with no new ideas on what to do next? Would you welcome the chance to “hear yourself think” and gain some new strategies to do things differently? Want to have encouragement and guidance from a distinctively Christian viewpoint? Looking for ways to improve and enhance your personal relationships: spouse, child, friend or co-worker? At times, we desire change, but lack the energy or motivation to get started. Psalm 51:12 asks God to “grant me a willing spirit to sustain me.” Or to paraphrase God, help me want to – “want to’”. So, if you are tired of sitting on “good intentions” and are ready to move on, let Trinity Christian Counseling propel you to the next phase. In the counseling session, you’ll set goals, describe your desired outcome, and discover your role in making those changes. You’ll identify new approaches and strategies you may have overlooked. How long are sessions and what times? They are 50 minutes in length. Monday— Friday, regular daytime hours between 8:30 a.m. and 8:30 p.m. with selected evening sessions also available. What is the cost? The standard fee is $90 per session. A sliding fee scale based on household income is also available. We do accept some insurances on a limited basis. For Trinity members, there is no charge for the first initial consultation session. What insurances do you accept? 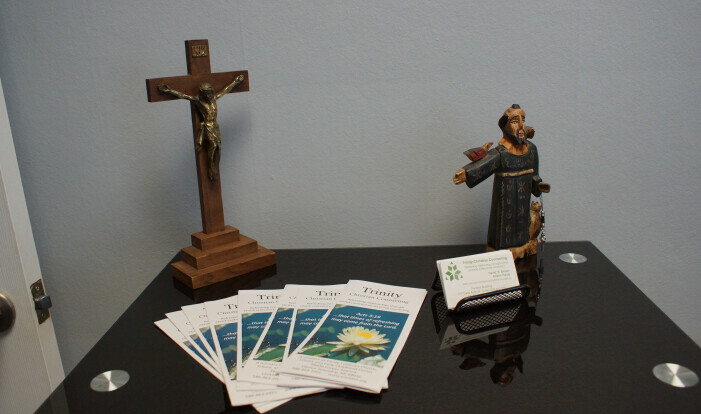 Trinity Christian Counseling accepts Beacon Health, Blue Care Network, Blue Cross, Blue Cross Blue Shield, Blue Cross Blue Complete, Cigna, ComPsych, Humana, McLaren, Medicaid, Meridian, Military OneSource, Ulliance and Value Options. What about confidentiality? You receive private and confidential counseling. Exceptions are danger to self or potential for harm to others will be reported as required by law. Prior to your first session, you’ll complete an intake form providing some basic background information about your particular needs and goals. Where are the sessions held? 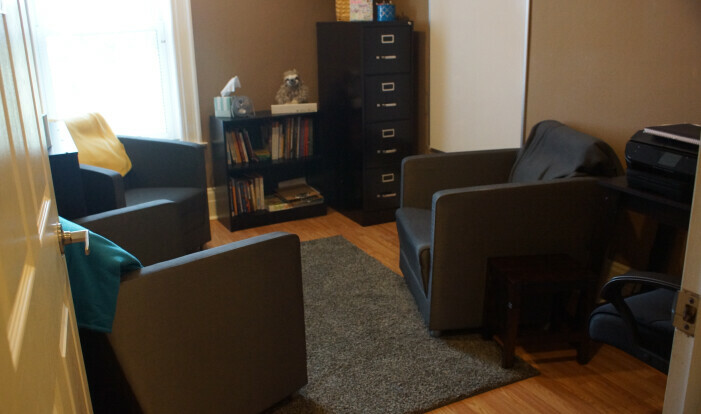 The counseling offices are in the Olympia Building, 117 Cass Avenue, Mt. Clemens (near Cass and Gratiot) in Suites 300 and 309 on the 3rd floor. Do I have to be a Trinity member to receive counseling? No, this new ministry serves not only our congregation, school and early childhood center, but the community as well. David E. Brown serves as lead counselor. Trained and certified as a Director of Christian Education (DCE) he is also a Licensed Professional Counselor (LPC) and a National Certified Counselor (NCC). He is a professional member of the American Association of Christian Counselors (AACC) is listed in the National Registry of Marriage Friendly Therapists and the national directory of Certified Discernment Counselors and on Focus on the Family Therapist Referral. As a member of the Trinity Lutheran Ministry staff, he brings over 25 years of experience working in the areas of marriage enrichment and relationship education. David has been married for over 40 years and has two adult children. David is listed as a Discernment Counselor and Marriage Counselor by Modern Commitment. He is also listed in the Focus on the Family Christian Counselors Network and in the National Registry of Marriage Friendly Therapists. David is also listed in Psychology Today. Kristin Hardy, also a trained DCE is a Limited License Professional Counselor (LLPC) and a National Certified Counselor (NCC). 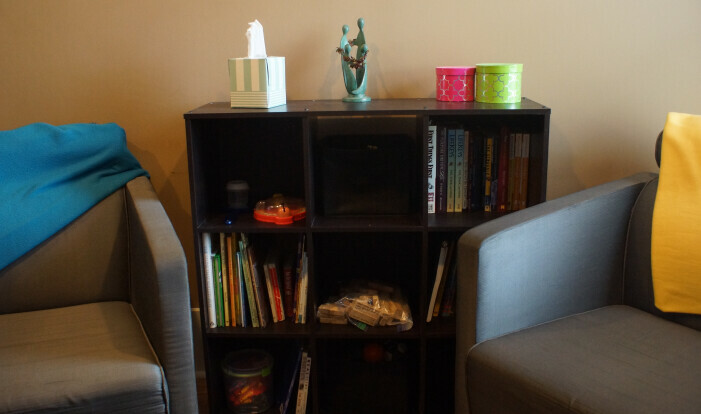 While skilled in counseling all ages and life stages, her specialty is child and adolescent counseling. Her passion Is helping children and youth deal with life’s issues and struggles and helping them find a way through it all. She's served as Confirmation Director at Trinity Lutheran Church and also works with L’Anse Creuse Public Schools. Kristin has been married for over 14 years and has three children. Kathleen von Kampen is a trained DCE (Director of Christian Education) and a registered Limited License Marriage and Family Therapist (LLMFT) in the state of Michigan. She is a member of the American Association of Marriage and Family Therapy (AAMFT) and has completed Level 1 Training for Gottman Method Couples Therapy; She is passionate about serving couples and families, equipping them with tools to find healing along with strengthening relationships. Kathleen has been serving as a therapist since graduating from Azusa Pacific University in Azusa, California. She also currently teaches undergraduate psychology students at Concordia University Ann Arbor when she is not at home with her toddler and husband of 6 years. 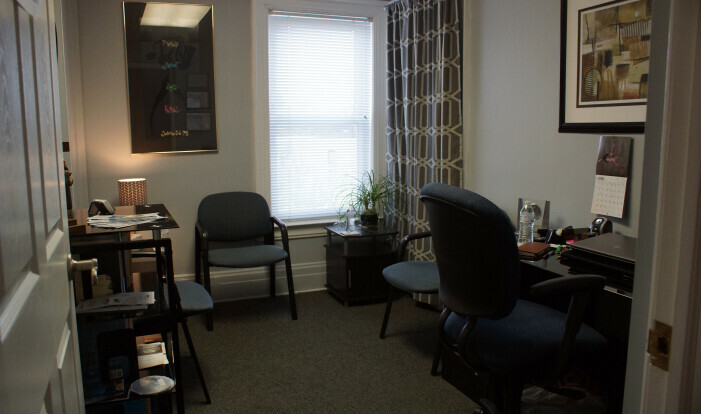 Dan Burke MA, LLP is a licensed psychotherapist with over 30 years of experience. His focus includes individual and family interventions. Dan is trained in Dialectal Behavior Therapy (DBT) and established multiple programs in Macomb County for adults and adolescents. His passion is to help and challenge individuals to reach their full potential. Dan manages two mental health clinics for Macomb County. He is very active in his church community as a lector, usher, and council member. Dan has been married for over 25 years with two daughters.